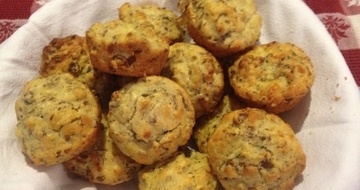 Savoury biltong muffins are great for morning tea, after snack. A great accompaniment to our biltong salad – now this recipe will keep for another day chaps !! Combine all dry ingredients then add the biltong and cheese and mix well then add the combined wet ingredients and mix lightly. Spoon into greased muffin pans and bake in preheated oven at 220 degrees C for 11 minutes. Cool slightly before removing and serve with butter. Don’t add salt to the mixture as the biltong and cheese are quiet salty. Delivery is by Royal Mail. As our biltong is made to order, delivery times are from dispatch and not from time of order unless specified.